Designed to add professional monitoring tools to DSLR and mirrorless cameras, the 5" HDMI 4K Monitor with Long Arm Control Box from PORTKEYS offers a bright, lightweight monitor with a sharp display and a camera control box. 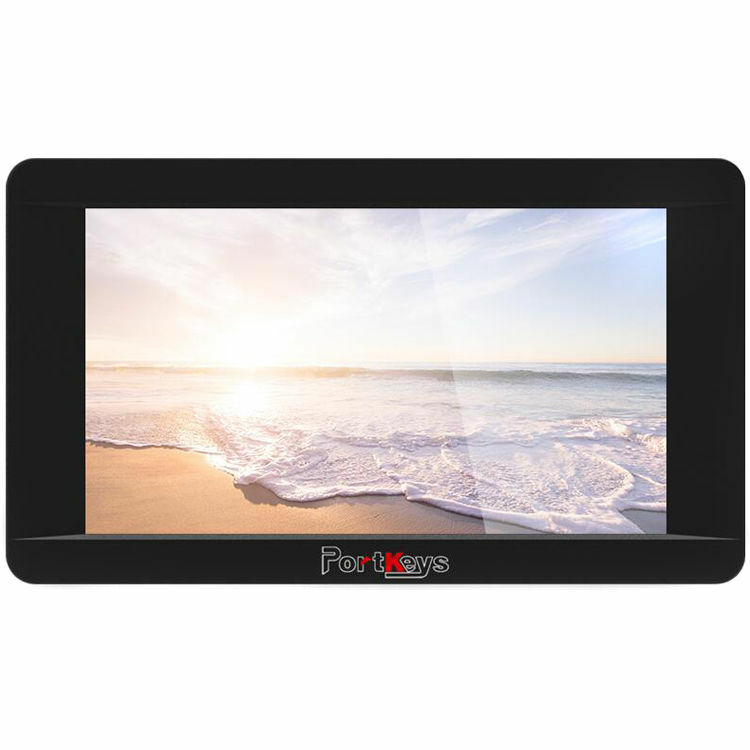 The 1920 x 1080 IPS LCD panel offers 1500 cd/m² brightness which can be clearly viewed in daylight. HDR preview is also supported at up to 1000 cd/m² brightness. The single HDMI input supports up to DCI 4K24 video and an HDMI loop output allows you to send the image to another display, if desired. A Long Arm Control Box is included which plugs into the two HDMI ports on the side, and provides camera control such as Record, Zoom, Shutter, and Focus. A Sony MultiPort to mini-USB control cable is included to connect to your Sony a6000, a7, a7II, a7III camera or any camera that accepts Multi-port. Separately available cables can be purchased to connect to your camera type. The monitor features various monitoring tools such as waveform, histogram, false color, and vectorscope, as well as focusing aids like peaking, zoom, and markers. At the rear of the monitor, a built-in L-Series battery plate accepts a separately available battery for power, while an integrated power output can also power your camera with the included power adapter. Separately available battery plates can be installed to accommodate different battery types. A barrel-type power output can be used to provide power to your camera using a separately available dummy battery. The monitor features three 1/4"-20 mounting threads that can be used to mount using an articulating arm or other mounting method. A USB flash drive is included to load custom 3D LUTs via the USB port. Can I use the PORTKEYS LH5 HDR with my the Nikon D800?